SideSwype – Games for Android 2018. 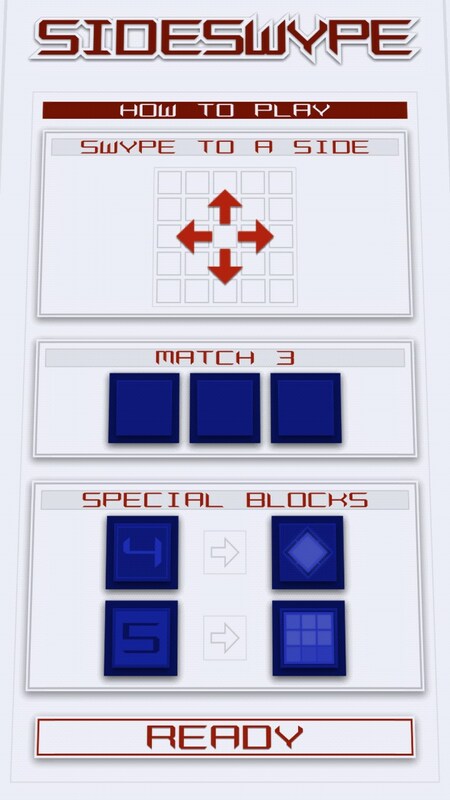 SideSwype – A Mod Twist on Match 3. SideSwype for Android has a lot going for it. 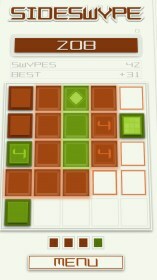 The visuals are interesting, it runs smoothly and the game play is fast paced. However, I think it still needs some work to reach its full potential. 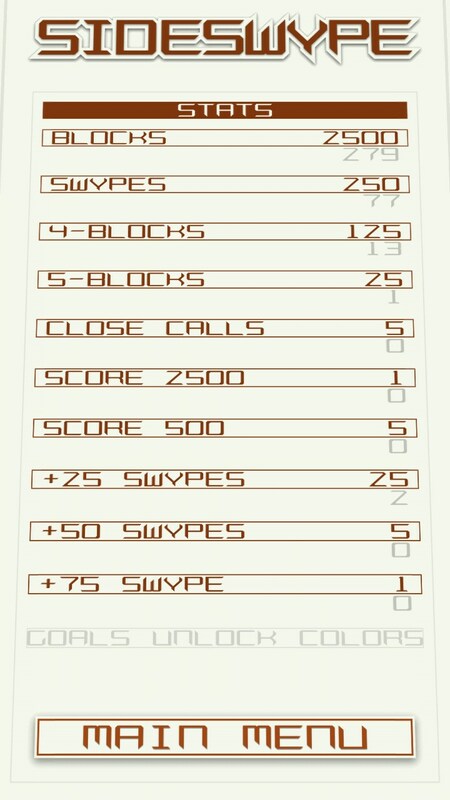 SideSwype is your basic match 3 style game. 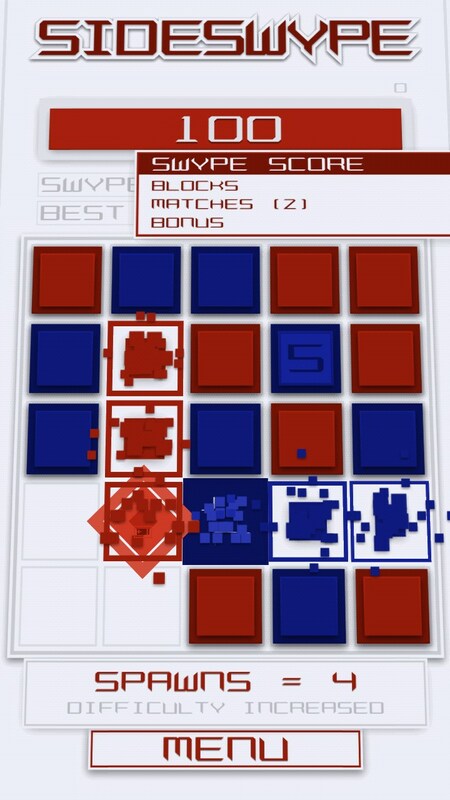 There's a cubed game board with rows and columns of colored blocks, just touch the screen on any of the cube's 4 edges and swipe to move blocks and create matches. 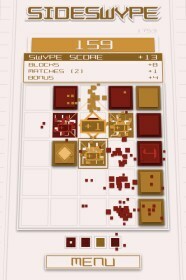 Matched cubes disappear in a visually interesting way, and everything plays smoothly and expert game play is rewarded with new color schemes. There seems to be a lot of levels, but not a whole lot of variance. 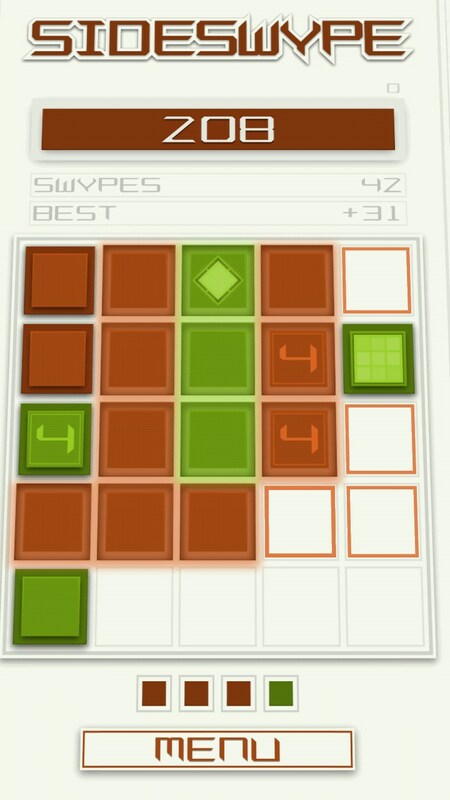 The biggest problem I had with SideSwype, is that there really seemed to be no rhyme or reason to how the game itself played. Theoretically, it's strategy based. But strategy is only interesting if it's contingent on a set of parameters and rules. 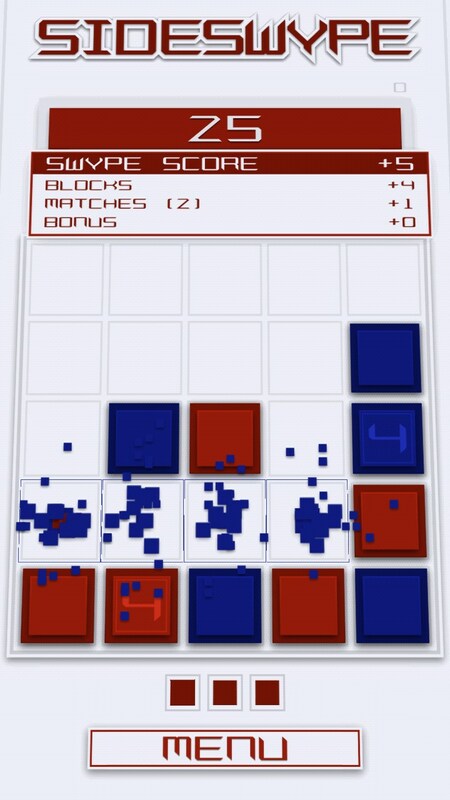 As it is, you can just swipe your blocks every which way, without paying attention to any semblance of strategy, and it's still possible to make tons of matches and rack up points, all without having a clue or care of what's happening or why. This is great for kids, because they can just touch and swipe everything in sight and still score big time and complete levels with ease. So you could certainly hand off your phone to your kid and keep them occupied while you run errands, but if you sit down to play yorself, it'll get boring right quick. 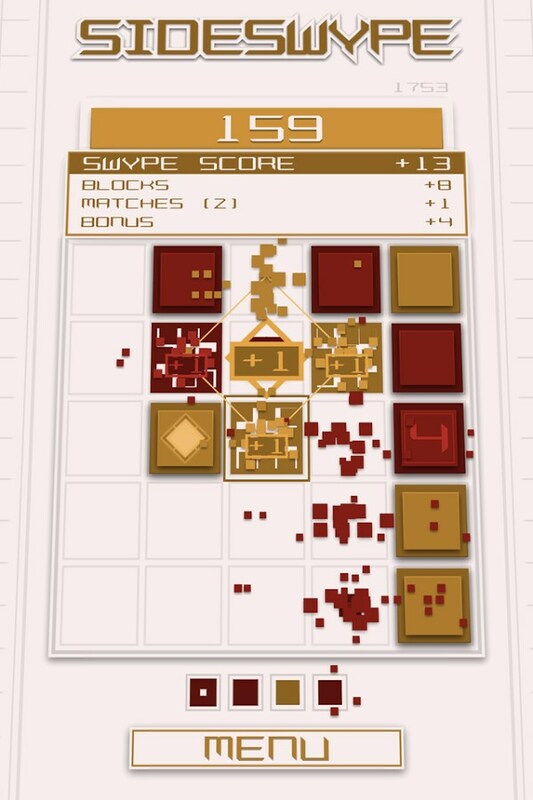 SideSwype is intended to be a thinker, yet in reality, I scored better with no thinking at all, just by swiping at everything and watching the cool animation as the blocks break apart and disappear. 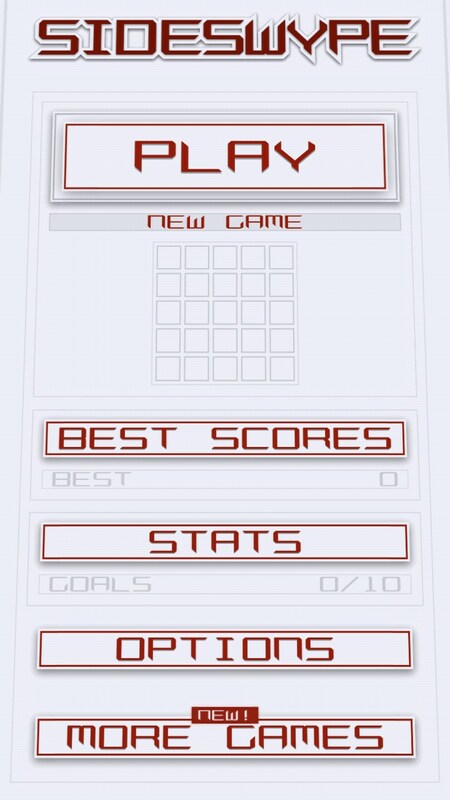 This game has potential that has yet to be realized. Promising, but it's not quite there yet.